The leading exhibition in Asia where around 400 global cosmetic ingredient suppliers exhibit the innovative products from across Asia and the rest of the world. This event is a forum for promotion and presentation of raw materials, packaging, and equipment machine / lab equipment. 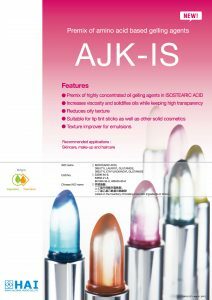 【Bangkok Innovation Zone Best Ingredient Awards】 “AJK-IS” became a finalist! 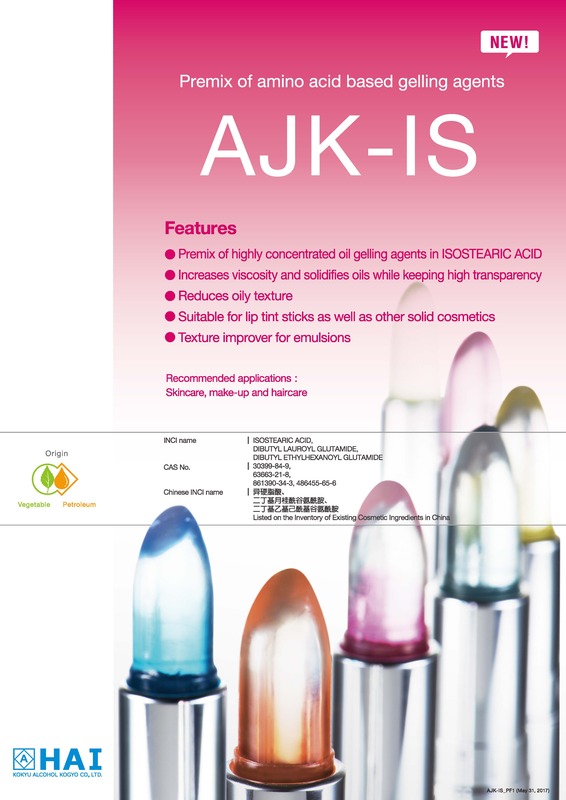 At In-cosmetics Asia held in Bangkok from October 31st to November 2nd 2017,our product “AJK-IS” became a finalist in Innovation Zone Best Ingredient Award competition. Exhibitors with new products/technologies introduced or launched into the industry market place within 8 months prior to the event were eligible to enter the competition. “High transparency” and “high novelty” of AJK-IS must have received a high evaluation. Please do not hesitate to contact our sales department. We do not provide guidance on the website.